I have been a spiritual seeker all my life. As far back as I can remember, I have been fascinated by the world of spirituality and religion. I grew up in a very spiritual environment, and I found such peace in the prayer room of my childhood home and the temples we regularly visited. I loved the smell of the incense, the beautiful sounds of kirtan (sacred Sikh songs), and the indescribable feeling of something special I felt in those places. I didn’t have conscious knowledge of energy at the time, but I could feel the sense of reverence, the energy of prayer, and the peace of meditation in the air. Places hold the energy of whatever activities have taken place there, and as living beings made up of energy, we can feel the energy of a place. This is why going on pilgrimage is such a special treat for me. The fact that people have traveled to Cerro Quemado and Wirikuta for eons to take part in ceremony and prayer is awe-inspiring for me. 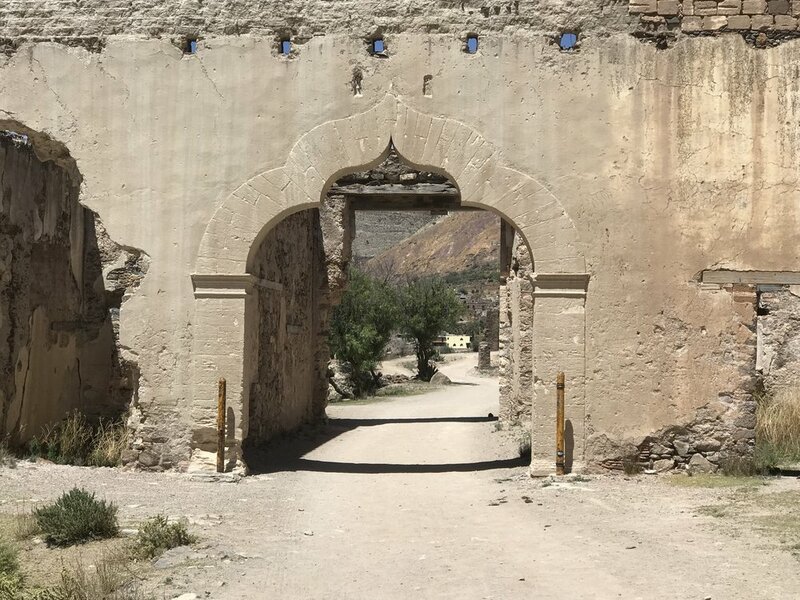 As I shared in my previous blog post about this special pilgrimage, this was my 4th annual journey to these sacred Huichol sites. And it’s very difficult to describe what a beautiful blessing the whole journey is. This year, I had the joy of traveling with two dear friends and seasoned veterans of this healing way, and I was so grateful to be in their company. A classic part of pilgrimage is that we encounter challenging situations along the journey. The challenges can be due to external circumstances and/or internal conflicts. The way one handles the challenges and what one learns from them is a part of the wisdom gained from the journey. My travel companions and I handled the unexpected and unnerving delays and detours we experienced on the way there and back with calm acceptance, which made the journey much more peaceful than it would have been otherwise. It can take weeks, months, or even years to fully integrate the benefits of this type of pilgrimage, but there is one experience that stands out to me from this year’s journey that I’d like to share with you now. The all-night sacred ceremony that is part of this pilgrimage is a time when one can say prayers and ask for healing, guidance, and support. In the past, sometimes this ceremony has been quite challenging and at others full of beauty and radiance for me. This year, it was a mix of both. There are five stages to the ceremony, and at times my heart felt so open and connected to Spirit, and I was experiencing the beauty of being in a deep state of prayer. At other times, I felt less inspired and uplifted. During one part of the ceremony, I was asking Spirit for guidance around a personal dilemma, and I found myself feeling anxious and worried. After what was likely just a few minutes but felt much longer, I realized I had gotten stuck in my thinking, and instead of being open to guidance, I was trying to figure things out with my head. It was simply to love…to love myself, to be gentle and compassionate with myself, and to extend that love and compassion to everyone else. Tears of gratitude rolled down my eyes as my heart filled with love and light. In that moment, I realized there was no problem, no dilemma to be solved. Everything was exactly as it should be. All I needed to do was allow myself to come back to my heart and come back to love. The answer that came is, “You give thanks.” So, I set the intention to simply give thanks for the remainder of the ceremony. And my intention coming back home is to deepen my appreciation and enjoyment of life. When I pause and ask myself this question, my perspective changes, and I get reminded that what I may be seeing as a problem is often part of a much bigger blessing. If I pause a bit longer and place my hands on my heart and tune in, my heart is typically very content and fulfilled. The heart sees the bigger picture; it doesn’t get caught up in the details our heads get overwhelmed by. The heart connects us to our Essence, to Spirit, to the energies of love, compassion, and kindness. And the spiritual journey, whether it takes place during a special pilgrimage or an ordinary moment in our lives, is the journey from the head to the heart. It’s the journey back home to our true nature, and the practices of prayer, meditation, gratitude, and ceremony help take us back to that space and live there more and more. Here are a few photos from my recent pilgrimage. In my next Monthly Healing Circle taking place Thursday April 18th, I will be guiding you through a journey inspired by my pilgrimage. It will include brining in grounding mountain energy and journeying to your heart. If you would like to learn more about the circle and sign up, please see this link and don’t hesitate to email me with any questions. Big hugs and blessings to you.